Gates - ICU2 Security Ltd.
ICU2 security Ltd, designs, installs, and maintains gate automation, in and nearby areas of Doncaster, Barnsley, Sheffield, Rotherham, Worksop, Scunthorpe, Chesterfield. ICU2 Security Ltd has grown to become a market leader in the design, manufacture and installation of Security Gates – Swing Gates, Sliding Gates. We operate from one of the most modern design and manufacturing facilities in the business and employ a team of highly skilled engineers. From here we are geographically well placed to meet the needs of our wide customer base. All our Swing/Sliding Gates are bespoke designed, made to measure to suit the customers design specification and site layout. Various control options are avaiable to suit all types of entry and exit requirements. To ask advice on any product, including any of our Swing or sliding Gates, please call us on 01302562412, email us with your request or contact us via this website. 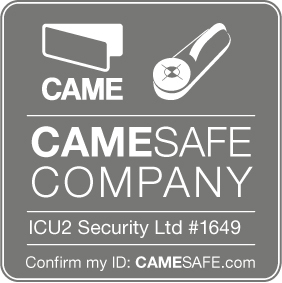 ICU2 Security Ltd have an enviable list of customers who demand the best product with complete reliability at a competitive price. ICU2 Security continually innovate to keep ahead of the market. Our design and manufacturing excellence is an essential part of the company’s commitment to delivering the highest standards of product innovation, quality and installation to its clients.